Overland Park, Kan. – August 6, 2018 – dARTS Theater (Digital Audio Reference Theater System), a sub-brand of MSE Audio, recognized for its all-digital home cinema system, announces the nationwide launch of Cinema Partners, which will debut at CEDIA 2018 in booth 2705. Cinema Partners was created to deliver an incredible home cinema package combining dARTS’ renowned home cinema speaker, Display Technologies’ projection screens and unique projector mounting accessories, and Ineva Design’ high-end cinema seating and custom seating solutions. 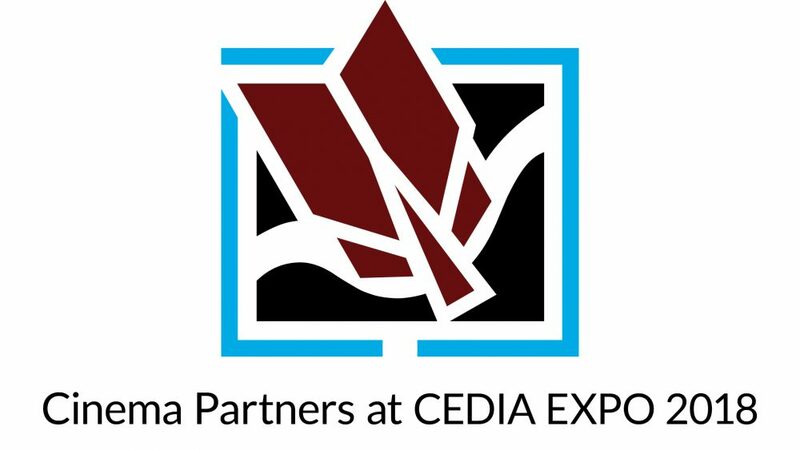 Originally formed in Europe, Cinema Partners will make its North American debut at CEDIA 2018 to provide dealers with an incredible home theater experience for their customers. dARTS will feature friends of Cinema Partners, Acurus and Barco, at their CEDIA sound room in a custom short-throw demo with the new dARTS speakers, a Display Technologies screen and Ineva Seating. Our alliance with Display Technologies and Ineva Design allows us to provide dealers with a reliable, high-quality home theater experience that performs seamlessly together. We’ve combined industry-leading manufacturers to create a system that will keep our dealers coming back for more. The precise and dynamic sound of dARTS combined with the stunning quality of Display Technologies acoustic transparent image surfaces and the luxurious comfort of Ineva Design creates a home theater experience in any living environment. dARTS Theater (Digital Audio Reference Theater System), a sub-brand of MSE Audio, is an all-digital system that includes an intelligent amplifier that precisely calibrates the speakers’ performance. dARTS Theater is an industry-leading, high-quality reproduction of cinema audio but designed for residential markets at a residential price-point. dARTS Theater is the most precise and predictable speaker on the market today. Each speaker driver in the system is custom-tuned to match within 0.5dB of each other and every dARTS system is calibrated and aligned to a reference performance level. For more information on dARTS, please visit dartsdigitaltheater.com. Headquartered in Overland Park, Kansas, USA, MSE Audio is the parent company of six speaker manufacturing brands. With multiple design and manufacturing centers across the residential and commercial markets, MSE Audio’s synergistic, cross-platform design and engineering ensures exceptional durability, superior sonic performance and refined aesthetics.